What are Asava and Arishta? Asava and Arishta are ayurvedic preparations that contains self-generated alcohol content and herbal extracts soluble in both water as well as alcohol. The main difference between Asava and Arishta is involvement of the heat. Generally, Asava formulations are prepared without making decoctions and Arishta formulations are prepared making decoctions. However, it is not a universal principle and there are a few exceptions. 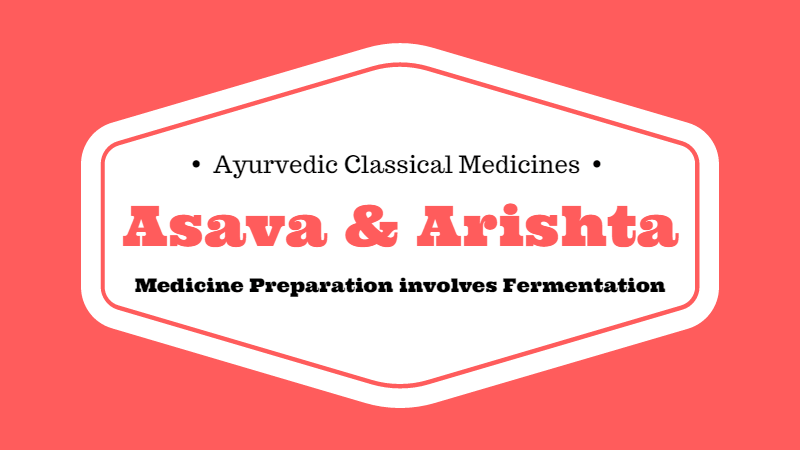 Asava are ayurvedic medicines, which are prepared with natural fermentation process using herbs, water and sugar. Almost all Asava medicines do not include preparation of decoctions, but it has a very few exceptions. Arishta are type of ayurvedic medicines, which are prepared with natural fermentation process using herbal decoctions, Dhataki (Woodfordia Fruticosa) flowers and sugar. Arishta means to have a long shelf life. All these preparations (Asava Arishta) have longer shelf life and have no expiry. In Ayurveda, it is believed old Asava and Arishta are more beneficial.